Whether you’re a wannabe rock ‘n roll star playing to a few bored friends in your basement or have already made it big, showcasing your mad axe skills to enraptured audiences at gigs across San Diego, constant exposure to loud music can have long-term consequences. No, we’re not talking about groupies, but rather, hearing loss. One of the leading causes of hearing loss in San Diego and throughout the United States is noise exposure. Sounds exceeding 85 decibels can cause permanent damage to the tiny hair cells of your inner ear; the louder the sound, the less safe exposure time you have. Music levels at most concerts average 100 to 120 decibels; in the midrange – 110 decibels – irreversible hearing loss can occur after only two minutes. 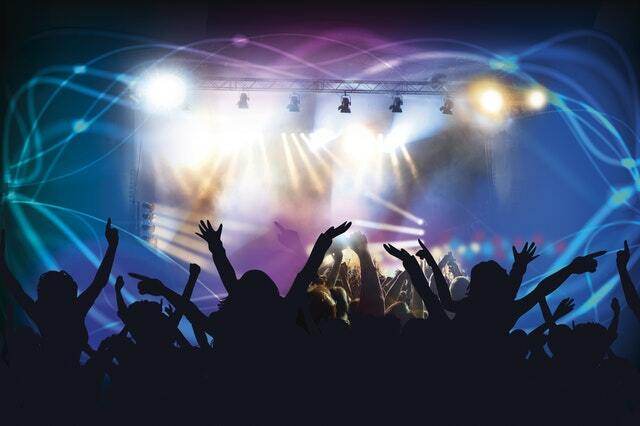 It’s no wonder exposure to loud music is one of the leading causes of noise-induced hearing loss in San Diego! Musicians are especially prone to based on the nature of their work. If you’re in a band, you doubtless spend many hours practicing – at least if you want to be any good! – and performing. Good hearing is an important part of the creative process; you’ll need a keen ear in order to compose music and play it accurately. Unfortunately, the damaging sounds associated with noise exposure contribute to a hearing loss and tinnitus, both of which could bring about an early end to your career. High- hearing loss profile musicians suffering from noise-induced hearing loss and/or tinnitus include Pete Townshend, Phil Collins, Eric Clapton, Sting, Roger Daltrey, Ozzy Osbourne, and Neil Young. Few of them used a simple yet effective preventative tool: musician’s earplugs. Musicians’ earplugs are the single most effective tool in preventing noise-induced hearing loss. Traditional earplugs block noise from entering the ear canals; while this is helpful to an extent, it results in music and speech that is muffled and distorted – hardly conducive to shredding on the guitar or banging out an extended drum solo. To compensate for this, musician’s earplugs are made up of a diaphragm and earmold that work together to produce attenuation, an even reduction in sound that is smooth and flat across the entire frequency range. The result is a high-fidelity device that makes music and speech sound clear and natural. Musicians can hear their own instruments and gauge how well they blend in with those of their bandmates. This can mean the difference between a no-hit wonder and a chart-topping success story. Musician’s earplugs often come with interchangeable attenuators that provide varying levels of sound protection for multiple listening situations; think private rehearsals versus concerts in large auditoriums. By using musician’s earplugs, you can save valuable stage space and eliminate bulky loudspeaker monitoring systems, which tend to increase noise levels anyway. If you’re a musician in San Diego – or even an avid concertgoer who wouldn’t know a treble clef from a troubled chef – drop by your audiologist’s office for a pair of musician’s earplugs. It’ll be the best investment you can make for your hearing! ←Can Hearing Aids Help Your Marriage? →What Phone Apps Help You Hear Better?